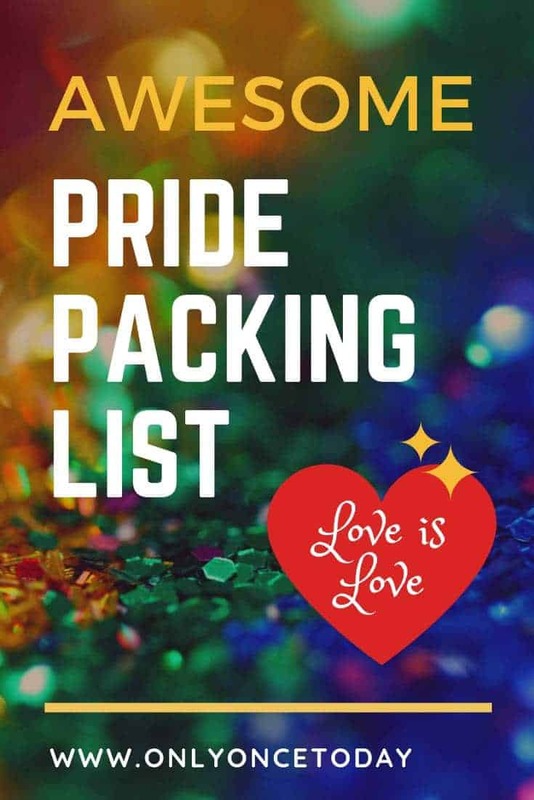 LGBT+ Pride Packing List - Get your Pride Products Now! It’s no secret that we totally love attending Pride festivals. We haven’t visited enough and we try to have a Summer of Pride each summer! In the best scenario, we would visit 5 LGBT+ pride events each summer. But hey, you have to fit all of it into your budget of course! 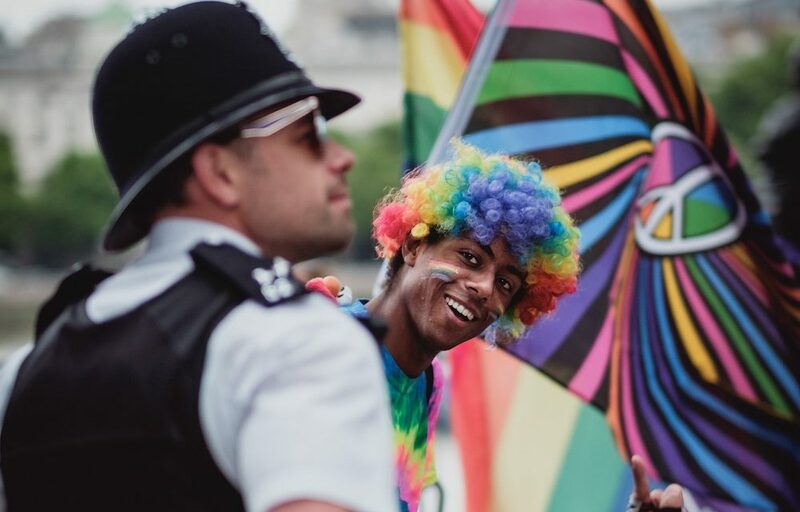 In our Summer of Pride post, we list the best LGBT+ Pride events in Europe, we also want to help you pack for Pride. So here it is… our Pride Packing list with the coolest Pride Products! Because everybody wants to look best for Pride! Check out these things you’re not allowed to leave at home when traveling to an LGBT+ Pride event. 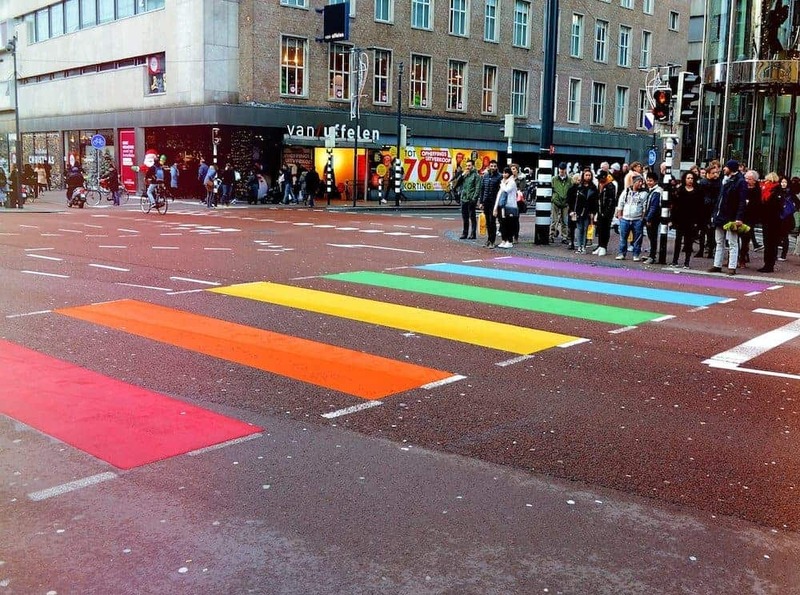 Getting to the LGBT+ Pride location should be the least of your worries. You either catch a flight or a train to get to your destination. And you won’t be the only Pride traveler present! Connect with other Pride travelers on your way to the Pride and show your rainbow colours off! Instead of buying a new suitcase to showcase your pride, these rainbow luggage straps are affordable and beautiful at the same time! Aside from your luggage, you need to take a good and comfortable backpack to carry during the Pride Parade. We always want to carry some stuff that we don’t fancy holding in our hands the entire time. So a small and comfy backpack is one of these must-have pride products. This gym-bag is awesome to show your Pride. If you’re only taking an extra sweater, this bag is perfect! Whether the weather is hot or it’s just the radiating heat of the partying people in the streets, you need to stay hydrated. You can also survive on alcohol alone, but from experience, we recommend taking a large bottle of water. Eco-friendly as we are, we suggest using a reusable water bottle. Some water bottle producers offer rainbow styled water bottles, but you can easily buy a water bottle that gets awesome reviews and spice it up with some *cheaper* Pride stickers!! Rainbow Stickers to spice up…. everything! Not just to spice up your water bottle! If you don’t bring your own Pride flag to the LGBT+ Pride Parade, you’re very likely to buy one once you get there! This is an accessory you just got to have! Get a large Pride Flag and wear it as a queer superhero cape! Or get a bunch little flags to decorate your backpack and hand them out to all the new friends you’ll make! Here comes the fun part! Paint your face, put on some fancy bracelets or a rainbow hat. Choose your favorite accessory and blend in with the rainbow pride madness! When attending an LGBT+ Pride event, you either choose for style of for comfort. You either compete in high heels running contests or you watch these games from the sideline. Expect to walk quite a few kilometers and I suggest taking comfortable shoes. Even if you start off on fancy shoes, take a pair of easy-going shoes in your daypack in order to switch when needed. This tip is one we get from experience and we’ve been shoe-shopping during the Pride in Madrid. These are the pride products you have to pack when preparing for an LGBT Pride Parade. Obviously, you also need to take some regular stuff, like a toothbrush and deodorant! If you want to stand out a little more, you can always do some Pride Shopping in a designated Pride Store like this one.